After getting his B.E in marine engineering from Dalian Maritime University, China, Mr. Fang Xiuzhi joined COSCO in 1994 as a seaman for two years. He then came back to the university and got his M.L in maritime law. Afterwards, Mr. Fang joined Sinotrans Container lines and Sinotrans Group successively, a leading global integrated logistics service provider. As the head of ship management department and commercial department there, he was in charge of development strategy consulting, liner alliances cooperation, new-building financing and other commercial and legal business. 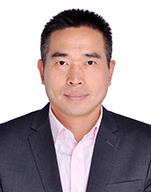 In August 2012, Mr. Fang joined Bank of Communications Financial Leasing Company ('Bocomm Leasing') and has served as Head of Ship Leasing till now. Under his leadership, the total shipping asset portfolio of Bocomm Leasing reached 9 billion USD as end of 2017.